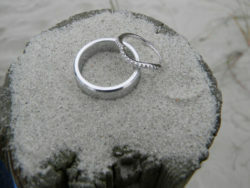 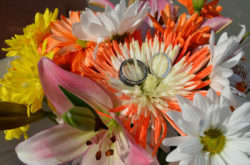 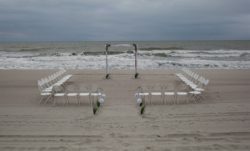 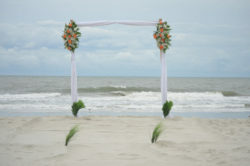 Myrtle Beach Simple Wedding Day offers Wedding Decorations for your Myrtle Beach Wedding. 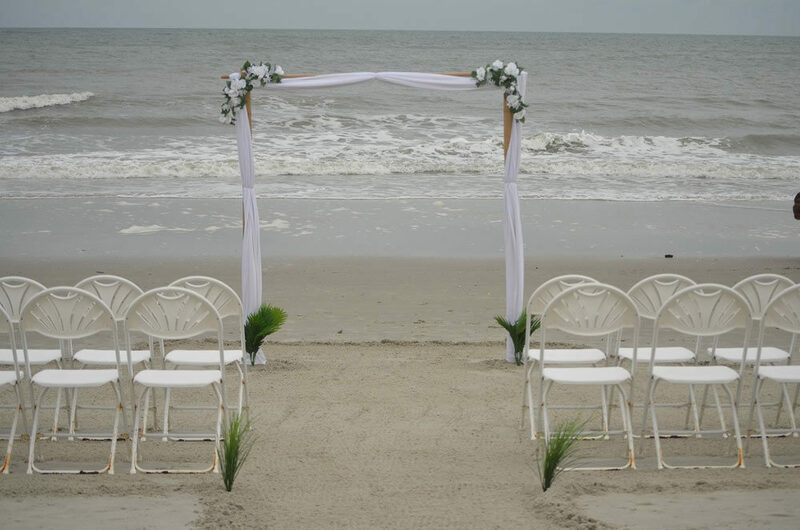 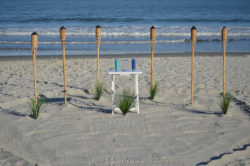 Beach wedding chairs, archways, tiki torches, toasting glasses, sand ceremony sets and other wedding decorations are available for your ceremony. 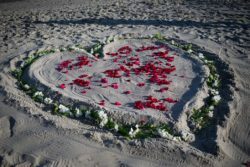 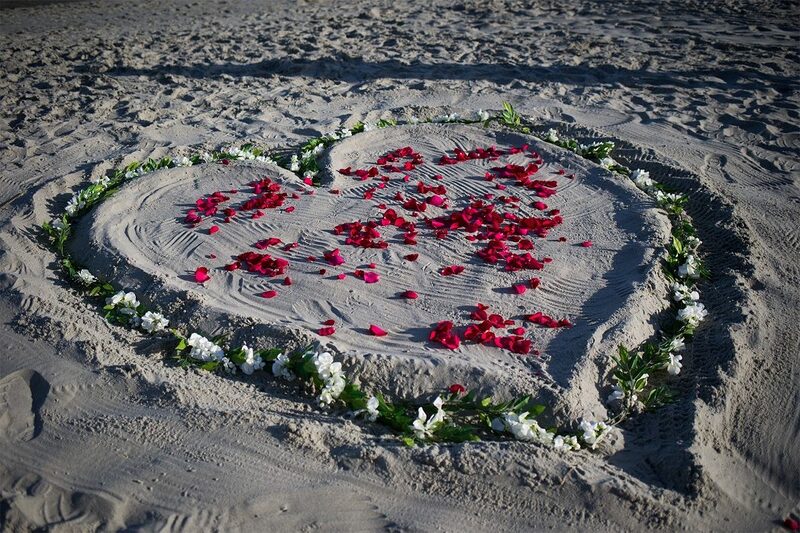 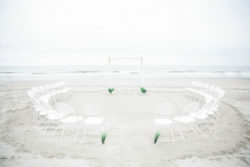 The pictures below are the example of the simple beach decorations Simple Wedding Day, LLC would be happy to provide. 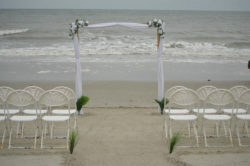 We have 30 Wedding Chairs, a Small Bamboo Archway, Full Bamboo Archway and up to 6 Tiki Torches for rent. The dates, times and location are limited due to set up time and travel. 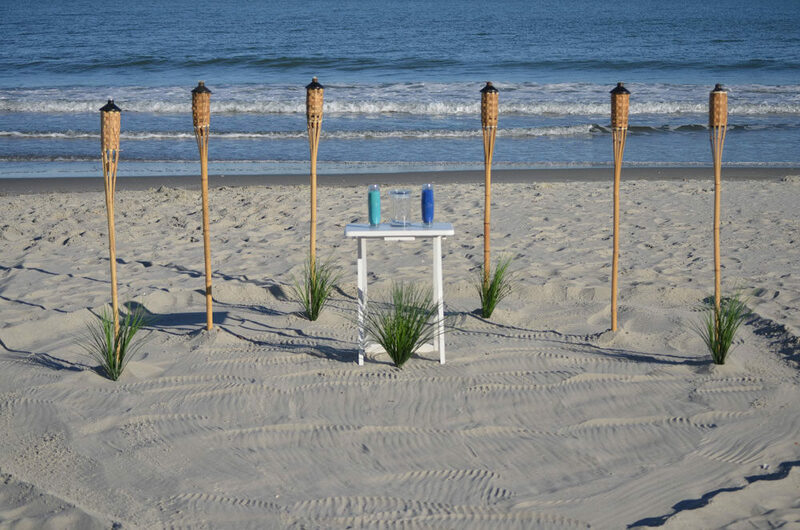 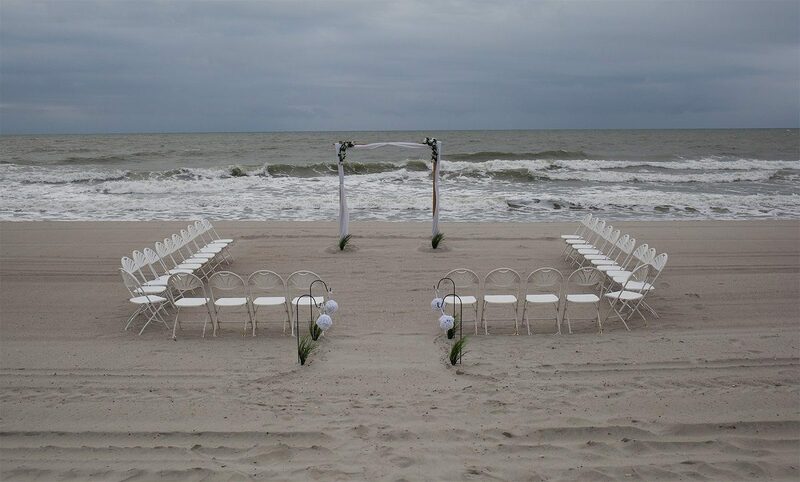 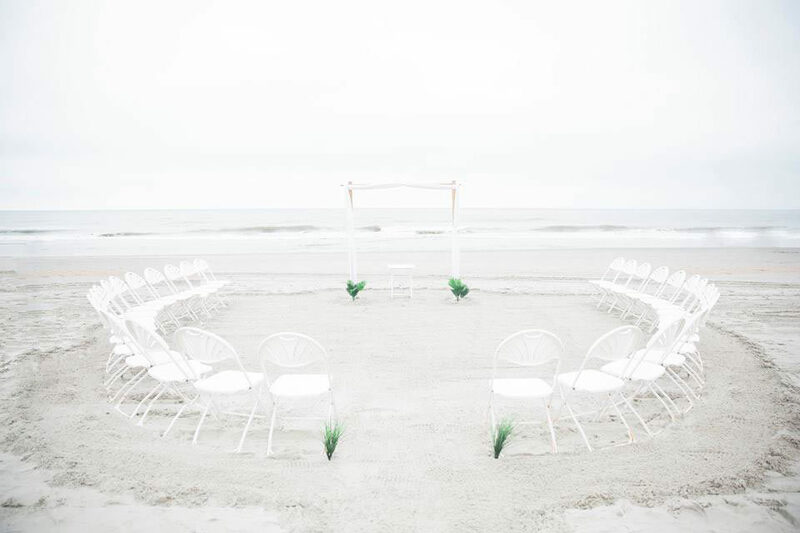 We would be glad to speak with you regarding how we can make your day special and less stressful as you celebrate a beautiful beach ceremony. 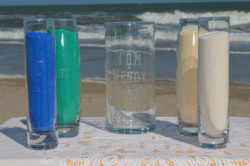 Prices for the beach decorations range from $40.00 to 150.00 depending upon the package chosen for your wedding day. Please contact us for more information. 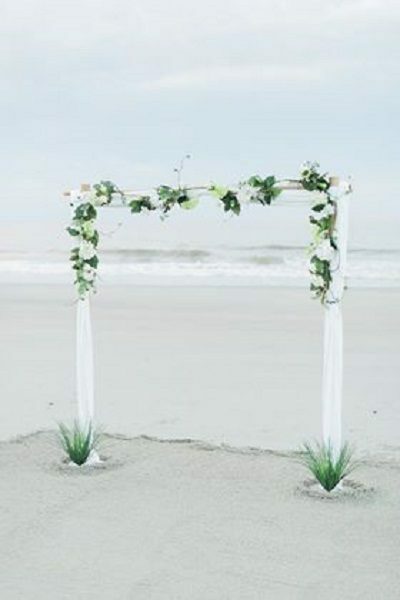 Dimensions of the Bamboo Archway is 7 ft tall x 5 1/2 ft wide x 5 1/2 deep. 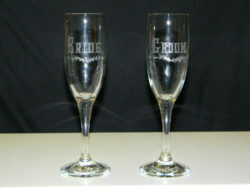 The following pictures are an example of a Sand Ceremony Set and Bride & Groom Toasting Glasses. 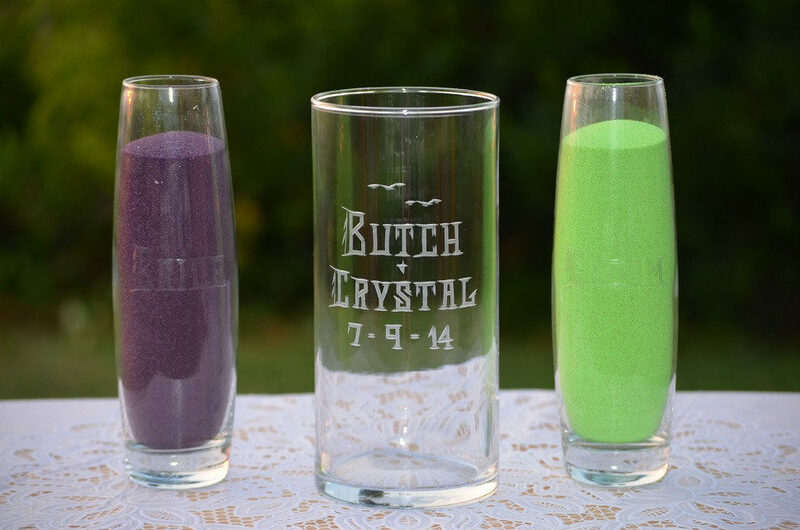 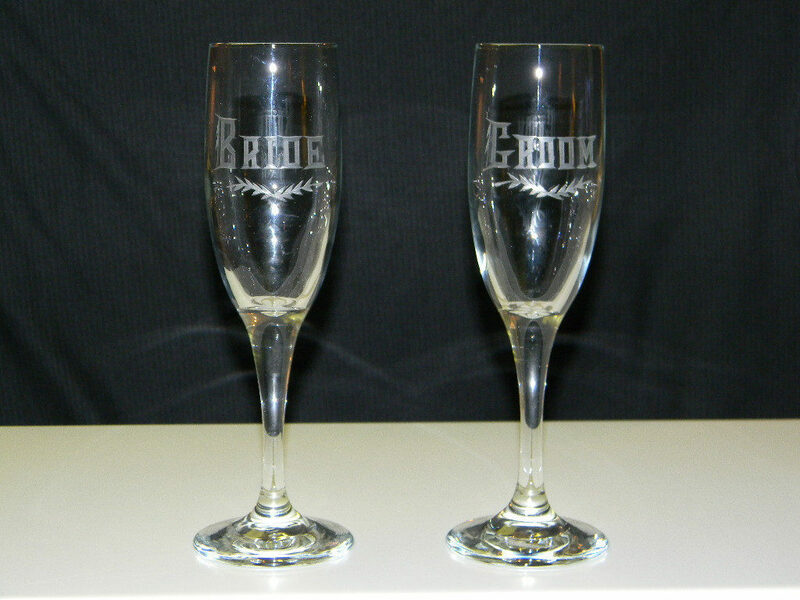 Personalized Glasses with first names and wedding/ceremony date can be provided as well. Simple Wedding Day would be glad to provide this as a special touch for your sacred day. Prices for the Glasses and Sand Ceremony Set range from $25.00 to $55.00. 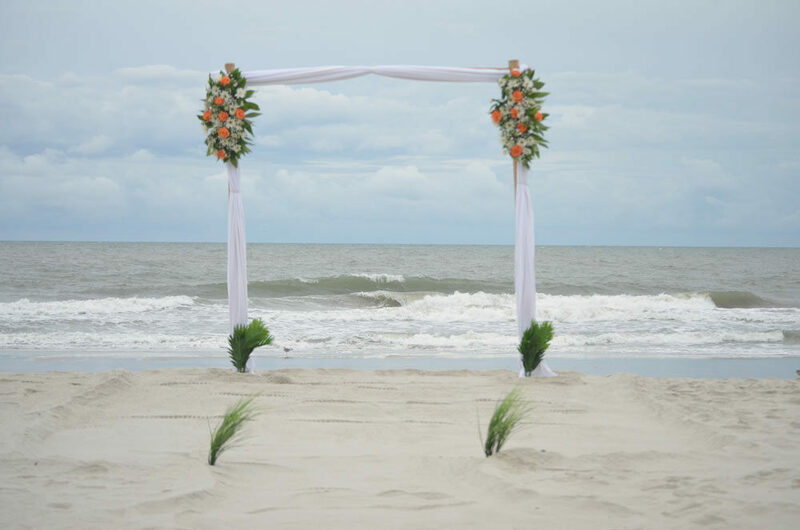 Please provide your Ceremony information in the Contact Form below and we'll get in touch with you ASAP!